"Cindy recently helped my husband and myself find our first home and we could not be happier with the service she provided. She found us a home that works perfect for us and we would recommend her to anyone who is in the market for a new home." "Cindy is a fantastic Realtor! She is willing to take the time to educate her customers in all steps of purchasing a new home! She takes the time to listen to all of your wants and needs in the house you are looking for and she does a fantastic job of helping you locate that perfect home! I would highly recommend her to anyone who may be looking or even just getting started in the process!" "I have known Cindy for many years and she has always been a totally thorough and professional Realtor. The care she shows her clients and friends alike is unmatched. I have and will continue to use Cindy as a Realtor and will recommend her to others. "Cindy was amazing. We bought our first home and we couldn't have found someone more perfect to help us! She really knew what we were looking for and took what we said to heart & found our perfect home." "I HIGHLY recommend Cindy! A couple months ago, she sold my house in 5 days - full price offer! I've had many successful dealings with Cindy. Her real estate knowledge, experience, professionalism & her people skills make her my #1 Realtor! "Cindy help my family buy our first home. She really took into consideration what we were looking for and worked with our schedule as well. She definitely worked very hard to find a house with everything that we were asking for. Once we found our home she made sure everything was in order and also help us understand everything that was going to happen as we had never done with before. She really knows how make people feel confident and comfortable in buying a home! "Cindy Is very Professional at all times, and related to our needs." "Cindy is very knowledgeable with a positive attitude. 1st Time buying, and Cindy walked us through every step of the process. We never felt alone or lost and would recommend her to all friends and family." "Cindy made our first time buying experience the best. She recommended great resources like home inspectors, lawyers, and mortgage companies." "Cindy Could not have been ore helpful nor more accessable. Truly one of a kind!!!" "Cindy is a fantastic Realtor! She is willing to take the time to educate her customers in all steps of purchasing a new home! She takes the time to listen to all of your wants and needs in the house you are looking for and she does a fantastic job of helping you locate that perfect home! I would highly recommend her to anyone who may be looking or even just getting started in the process! Cindy is Hands Down the Best! "We have known Cindy for about 5 years now and I feel like she is part of our family. When we were looking for our home 4 years ago she not only listened to what we wanted, she brought to our attention things that we didn't even think of like making sure houses we were looking at weren't flood prone and looking for cracks in the walls and ceilings that could potentially be a problem. We have worked with other Realtors who clearly just wanted to spend the least amount of time possible to get the job done and tried to oversell pricier places, but Cindy never did this. She truly always looked out for our best interest. Not only did she find us a perfect home, she fought (and I do mean fought! )for the price to be $30,000 less than than the list price! She is an amazing part of our family. My son even asks when we are going to see her next:) She's the best!" "Cindy really takes the time to help her clients and find them their perfect home. Cindy has helped us with two real estate transactions and we would go back to her for the next. A truly great experience from start to finish." "I will and would recommend Cindy to anyone I know. She went above and beyond the call of duty for us buying our first house. She was and still is available to help us out with any questions or concerns that we have. She was so helpful in so many ways that I just can't say enough great things about her. She is so professional, compassionate and treats you just like family. She is very smart and knows what she is doing in all aspects of her job . She also makes sure that all the processes go smoothly with all that is involved. I highly recommend Cindy. "Cindy helped us both sell home and buy a home approximately 4 years ago. She was the most patient Realtor we could've asked for. Cindy was very accommodating to our needs and time constraints, always professional even when dealing with other difficult realtors and she was endlessly patient (we looked at a huge amount of houses before finally purchasing one). She never pressured us or gave her opinion unless we asked. We became friends with Cindy during the process and never hesitate to refer others to her. If she doesn't know the answer Cindy is quick to reach out to professionals who do. Our home sale and purchase were not an easy task for Cindy but she never was anything but pleasant and hard working. Cindy is a GOOD person and it is nearly unheard of in this day and age to find a person in a sales industry with integrity and a good moral code, but Cindy Ellis is this person. Hire her as your Realtor and you will not regret it." "I've known Cindy for years and know her to be an honest person that means and does what she says she will do. She helped me sell my parents home after they had passed and she was compassionate with me yet offered professional advice. Her professionalism made a difficult job easier. Highly recommend Cindy. 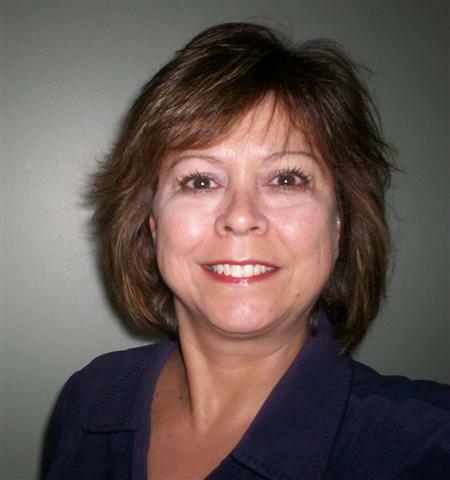 "Cindy has helped me and my family in 3 real estate transactions over the last 10 years. She is very professional,addressed all of our concerns,answered all of our questions and made selling our home an enjoyable experience. She found us the new house we were looking for and couldn't be happier. We highly recommend this agent because we don't think you could find a better one." all of our questions and concerns and listened to our needs. She was professional and hard-working - also extremely patient and reassuring through several panic attacks along the way. We have recently referred Cindy to friends (also very satisfied) and will continue to recommend her. "Received a report every week - was more than just a face she cared." "Followed up on all leads and provided immediate feedback. Able to work with both parties. Ability to listen and then speak. Easy to understand - great agent."